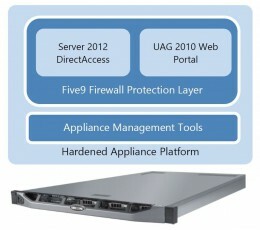 The appliance consists of a Windows Server 2012 host with custom appliance management tools and interface, running a virtual machine for UAG and a virtual machine for DirectAccess. 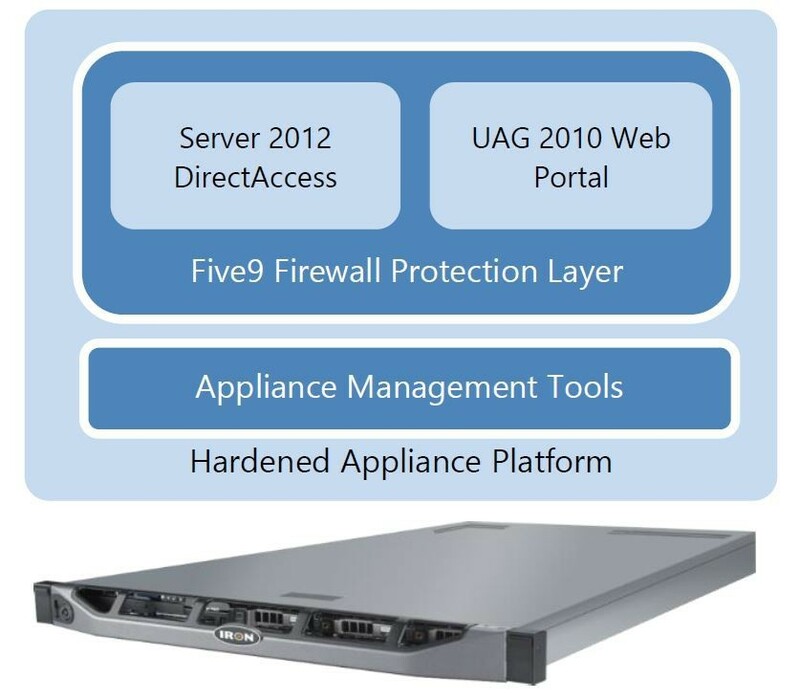 As a collection of the top remote access technologies from Microsoft, on a secure and hardened appliance, with a single source of support, the URA appliance is a top choice for enterprise IT to complete their remote access strategies. Microsoft DirectAccess helps to lower the internal IT support costs for enterprises. In many companies, a majority of IT helpdesk support tickets are for users who have problems with various remote access technologies. With DirectAccess removing the user component from establishing connectivity, a majority of those cases can be avoided. DirectAccess also provides an always managed functionality by making the managed DA corporate endpoints always manageable when they are connected.